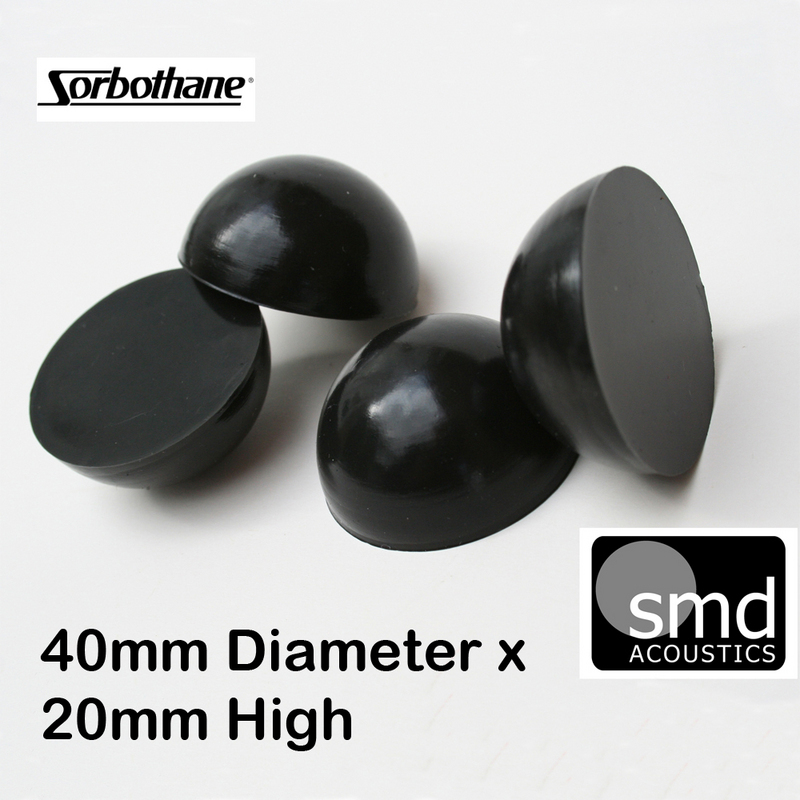 As far as we are aware SMD Acoustics are the only company providing the 40mm Hemispheres and these are useful where a more compact solution is required due to height or pure aesthetics over the larger available hemispheres. These hemispheres are rated at a 70 shore hardness which will provide effective support of up to 13.2 kgs per hemisphere or a maximum of 52.8 kgs per set of 4. Expect a 25 to 30% deflection when statically loaded. Size: 40mm Diameter x 20mm high.